"Don't You Worry 'bout a Thing (Tori Kelly version)"
Sing is a 2016 American computer-animated musical comedy-drama film produced by Illumination. It was directed and written by Garth Jennings, co-directed by Christophe Lourdelet and starring the voices of Matthew McConaughey, Reese Witherspoon, Seth MacFarlane, Scarlett Johansson, John C. Reilly, Taron Egerton, and Tori Kelly. The film is about a group of anthropomorphic animals that enter a singing competition, hosted by a koala who is trying to save his theater. Faith is a song by American singer and songwriter Stevie Wonder, featuring Ariana Grande. It serves as the lead single from the soundtrack of the 2016 musical-animated film Sing. The song was written by Ryan Tedder, Benny Blanco and Francis Farewell Starlite. The single was released on November 4, 2016. Stevland Hardaway Morris, better known by his stage name Stevie Wonder, is an American singer, songwriter, musician, record producer, and multi-instrumentalist. Joby Talbot is a British composer. He has written for a wide variety of purposes and an accordingly broad range of styles, including instrumental and vocal concert music, film and television scores, pop arrangements and works for dance. He is therefore known to sometimes disparate audiences for quite different works. This is the discography of South Korean singer Seven. The discography of South Korean girl group Wonder Girls, consists of three studio albums, four extended plays, one single album, two greatest hits albums and eighteen singles. The discography of the South Korean-Chinese boy band Exo consists of six studio albums, six extended plays, three live albums and twenty six singles. Exo was formed by the Korean entertainment company SM Entertainment in 2011, and formerly consisted of twelve members separated into two sub-groups, Exo-K and Exo-M, releasing the same music simultaneously in both Korean and Mandarin in South Korea and China, respectively. The group's first release, the extended play Mama, was released in April 2012. 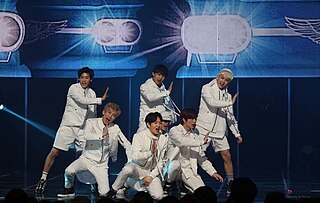 The album topped Korean music charts on its release. With the release of Don't Mess Up My Tempo in November 2018, Exo became the first artist to surpass 10 million total album sales in South Korea. South Korean girl group Apink has released six studio albums, eight extended plays, three compilation albums, and twenty-nine singles. The group debuted in 2011 and consists of six members: Chorong, Bomi, Eunji, Naeun, Namjoo, and Hayoung. Former member Yookyung left the group in April 2013. American singer Ariana Grande has released five studio albums, one compilation album, one remix album, four extended plays (EPs), forty-one singles, seven promotional singles and thirty-six music videos. After signing with Republic Records, she released her debut single "Put Your Hearts Up" in December 2011. This is the discography of South Korean boy group BtoB. The group was formed by Korean entertainment company Cube Entertainment in 2012, and consists of seven members. The group first major release, the EP Born to Beat, was released on March 21, 2012. 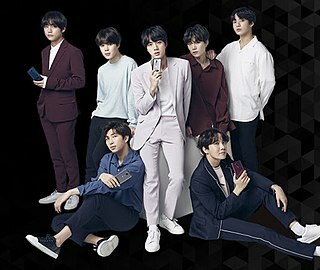 South Korean boy group BTS have released six studio albums, four compilation albums and five extended plays. The discography of South Korean boy band VIXX, formed by Jellyfish Entertainment consists of five studio albums, five extended plays (EPs), ten single albums and twenty-six singles. Russian-German producer Zedd has released two studio albums, one compilation album, 10 music videos, seven extended plays, 26 singles and 27 remixes. The discography of the South Korean girl group Red Velvet consists of two studio albums, eight extended plays, one reissue album, and eighteen singles. Red Velvet was formed by the Korean entertainment company SM Entertainment in 2014, and consists of five members. The discography of the South Korean singer Lee Tae-min, consists of three studio albums, four extended plays, twelve singles and five appearances in soundtracks. The discography of the South Korean singer Kim Jong-hyun consists of two studio albums, two compilation albums, one extended play, nine singles and six appearances in soundtracks. Jonghyun released his first extended play, Base, on January 12, 2015. His first compilation album, entitled Story Op.1, was released on September 17, 2015. Jonghyun released a collaboration single with Heritage titled "Your Voice" on March 18, 2016, for the project Station. On May 24, 2016, he launched his first studio album, She Is, containing a total of 9 songs. On December 9, 2016, he released the song "Inspiration" for the project Station. He released his second compilation album, titled Story Op.2, on April 24, 2017. His final album, Poet | Artist, was released posthumously, on January 23, 2018. 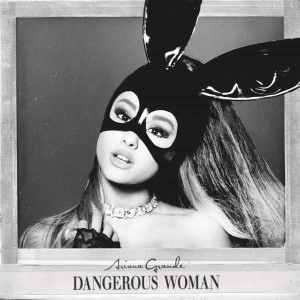 Dangerous Woman is the third studio album sung by American singer Ariana Grande, released by Republic Records on May 20, 2016. The album is the follow-up to her second studio album My Everything (2014), and features guest appearances from Nicki Minaj, Lil Wayne, Macy Gray and Future. The song "Focus" was the intended lead single. However, later the album's name was changed to Dangerous Woman and "Focus" was removed from the album's standard track listing. Dangerous Woman is primarily a pop and R&B album, with influences of dance-pop, disco, house, trap, and reggae genres. Grande, Max Martin, and Savan Kotecha were the album's executive producers. 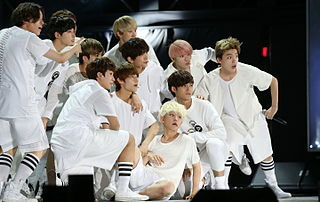 South Korean boy group Seventeen has released two studio albums, two reissues, one compilation album, seven extended plays, and twelve singles. Mamamoo is a South Korean girl group under Rainbow Bridge World, and is composed of Solar, Moonbyul, Wheein and Hwasa. The group has released one studio album, eight extended plays, and sixteen singles since their debut in 2014. 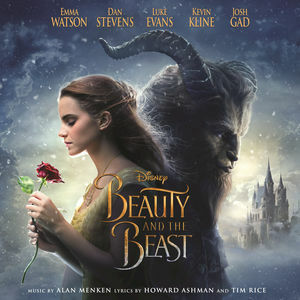 Beauty and the Beast: Original Motion Picture Soundtrack is the soundtrack album to the 2017 film Beauty and the Beast. The album, largely based on material from Disney's 1991 animated version, features songs and instrumental score composed by Alan Menken with lyrics by Howard Ashman and three new songs composed by Alan Menken with lyrics by Tim Rice. The soundtrack album was released by Walt Disney Records on March 10, 2017. The Best is the first greatest hits album by American singer Ariana Grande. 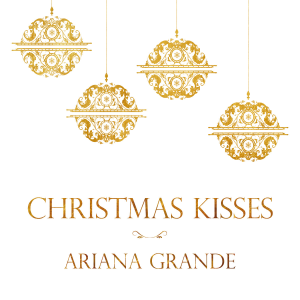 It features the singles from her first three studio albums: Yours Truly (2013), My Everything (2014) and Dangerous Woman (2016), plus her duet with John Legend, "Beauty and the Beast", for the Beauty and the Beast: Original Motion Picture Soundtrack (2017) and "Faith" with Stevie Wonder for the Sing: Original Motion Picture Soundtrack (2016). It was released, digitally and physically, exclusively in Japan on September 27, 2017, by Universal Music Japan. In Japan, the album sold 24,764 copies in its first week peaking at number two. 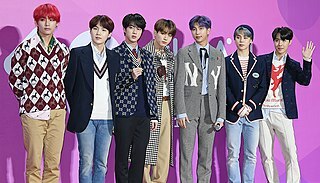 South Korean boy group BTS have released twenty-two singles and two promotional singles. 1 2 3 "Sing (Original Motion Picture Soundtrack) by Various Artists on Apple Music". Apple. Retrieved December 10, 2016. ↑ ""Faith" (from Sing) - 15 Second Clip - Stevie Wonder feat. Ariana Grande". September 9, 2016. ↑ "Stevie Wonder and Ariana Grande collaborate on track for Sing movie". October 29, 2016. ↑ "Sing Soundtrack album". September 9, 2016. ↑ "Sing Soundtrack (Target Exclusive)". Target . Retrieved January 9, 2017. ↑ "Sing (Original Motion Picture Soundtrack Deluxe) by Various Artists on Apple Music". Apple. Retrieved December 31, 2016. ↑ "Australiancharts.com – Soundtrack – Sing". Hung Medien. Retrieved January 14, 2017. ↑ "Ultratop.be – Soundtrack – Sing" (in Dutch). Hung Medien. Retrieved January 21, 2017. ↑ "On The Charts...This Week". FYIMusicNews. Retrieved January 10, 2017. ↑ "Charts.org.nz – Soundtrack – Sing". Hung Medien. Retrieved February 10, 2017. ↑ "2017년 01주차 Album Chart" (in Korean). Gaon Music Chart . Retrieved March 4, 2017. ↑ "2017년 09주차 Album Chart" (in Korean). Gaon Music Chart . Retrieved March 11, 2017. ↑ "Spanishcharts.com – Soundtrack – Sing". Hung Medien. Retrieved February 2, 2017. ↑ "Official Soundtrack Albums Chart Top 50". Official Charts Company. Retrieved January 28, 2017. ↑ "Soundtrack Chart History (Digital Albums)". Billboard. Retrieved January 21, 2017. ↑ "Soundtrack Chart History (Billboard 200)". Billboard. Retrieved January 10, 2017. ↑ "Soundtrack – Chart history" . Retrieved January 10, 2017. ↑ "Soundtrack Chart History (Soundtrack Albums)". Billboard. Retrieved December 24, 2016. ↑ "ARIA End of Year Albums 2017". Australian Recording Industry Association. Retrieved January 5, 2018. ↑ "Top Billboard 200 Albums – Year-End 2017". Billboard. Retrieved December 12, 2017. ↑ "ARIA Australian Top 50 Albums". Australian Recording Industry Association. May 22, 2017. Retrieved May 20, 2017.